Within the more than 135 Michigan Driver’s License Restoration articles on this blog, I have covered pretty much every step in the License Restoration process. Some of those articles are rather detailed examinations of very fine points of the procedures and requirements for an out of state resident to obtain a clearance of a Michigan Hold that prevents them from obtaining or renewing a Driver’s License in another state. This article will be rather the opposite of that – a summary look at the general process of obtaining a Clearance of a Michigan Hold, or Revocation, and how it’s done in my Office, so that a person can go to the DMV in their new state and get back on the road. If that same person were to go into the DMV (Department of Motor Vehicles) of a state other than Michigan, and try to get a License there, they’d be told that Michigan has a “Hold” on their Driver’s License, and that they cannot get one in the new state until that Hold is removed. 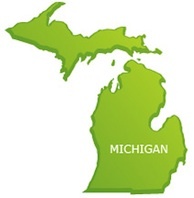 Many of my Clients were able to get that out of state License in years past, only to find out that now, as technology makes the transfer of information more complete and much faster, that old Michigan Revocation has caught up with them, and they are unable to renew their License in whatever state they now reside. The only difference between a License Restoration and a Clearance is that if a person wins a Restoration Appeal, they win back their Michigan Driver’s License. If a person who lives out of State wins a Clearance, they win a removal of Michigan’s “Hold” (meaning the Revocation), which in turn will allow them to get a Full License in another State. To be clear, if a person wins a Clearance, they DO NOT win any kind of Michigan License. They can only use their Clearance to get a License in another state. It cannot be used to get a Michigan License. The process for removing a “Hold,” meaning obtaining a Clearance, is identical to having a Michigan Driver’s License Restored. However, anyone who lives out of state can try to file a License Appeal by mail, called an “Administrative Review,” whereas a Michigan resident must actually appear for a Driver’s License Restoration Appeal Hearing. It is a statistical fact that 3 out of 4 Administrative Reviews are Denied, meaning that anyone who tries an “Appeal by Mail” has about a 25% chance of winning. While I would never recommend that anyone try this route, I would never actively discourage anyone from giving it a go, either, should they be so inclined. I will be here the next year for anyone who needs me. The better route, of course, is to go for a full License Appeal Hearing. This is not just some sales pitch I use to reel in out-of-staters. I so strongly believe in live, in-person Hearings that I schedule ALL of my cases to be heard live, at the Michigan Secretary of State’s Driver Assessment and Appeal Division (DAAD) Office in Livonia. As it turns out, I have the option of scheduling any of my cases for a Video Hearing at a local Secretary of State Branch Office about 4 minutes down the road from my Office. I would NEVER even consider making that mistake. Instead, I happily make the one-hour drive to Livonia for each and every case I accept, because I know that a live Hearing is incredibly superior to a second-rate, grainy video sort of web cam deal. There is far more to winning a Clearance (or an in-state Restoration) than just showing up for a Live Hearing with a Lawyer. I have to sculpt and shape every part of the case, right from the start. This is why I meet with a new Client for about 3 hours before they ever go in to have their Substance Abuse Evaluation completed. It is worth pointing out that I offer a win Guarantee. If I accept a License Appeal case, I guarantee that I will win it. If I do not, then I will continue to Represent my Client before the DAAD until he or she does win. Obviously, I make my money winning these cases the first time; the prospect of having to go back cuts my income in half and doubles my workload. I want to put my Client back behind the wheel every bit as much as the Client wants to get there. A first and necessary perquisite to my accepting any case is that the Client be Sober. This is very important. At a minimum, a prospective Client must be “Sober” in the sense that they have remained alcohol-free for at least a year (often, it will be necessary that a person has more than that) and is truly committed to lifetime Sobriety. Anyone who still drinks, or thinks that they can drink again need not apply. Part of the reason I can offer a Guarantee is that I start with a qualified Client. Everyone who has lost their License wants it back, but only that select group of people who have truly embraced Sobriety will ever get it back. Recently, a new Client was telling me why he decided to hire me. He mentioned that my Guarantee was a big factor, but, he added, he knew I was “genuine” because I was the only Lawyer he found who made Sobriety a requirement to accept a case. Everyone else, he pointed out, required nothing more than payment. He felt that because I linked my Guarantee with real honest-to-goodness Sobriety, I meant what I said. I took that as a high compliment. If a person has enough demonstrated voluntary abstinence, along with a real commitment to Sobriety, we schedule them to come and meet me to begin the process. That first meeting takes about 3 hours. We help out of state (or even across the state) Clients schedule their Substance Abuse Evaluation at a wonderful local Clinic a few blocks from my Office right after they meet with me, so that they can go right from my place to the Clinic, get their Evaluation done, and then head for home. This, of course, accounts for one trip to my Office in Mt. Clemens. Anyone living out of state, or far away, will then have to prepare for one more trip back for the actual License Hearing in Livonia. It takes about 8 weeks from the time a Hearing is requested and the paperwork is filed with the DAAD in Lansing until the Hearing date comes up. Add to that another 2 weeks for the Substance Abuse Evaluation to be completed, and we’re talking about 10 weeks at the soonest before anyone needs to make that return trip. Aside from all that, most people take a few more weeks to work on their Letters of Support. This involves them getting something to me, that I then edit and send back to them, making the real timeline between the first meeting with me and the Hearing date itself closer to 12 weeks, if not even a few more, depending on how motivated the Client is to get everything done. The focus of my first, 3-hour meeting with a new Client is to prepare them for their Substance Abuse Evaluation, and to help them frame the story of the magnanimous life change from problem drinker to Sober person. Legally speaking, a good and favorable Evaluation is a foundational requirement to win a License Appeal. The Evaluation must be watertight. If it isn’t it will cause the case to lose. I usually put it this way: You cannot win back your License with a losing Evaluation. When I first meet with a new Client, we go over the Evaluation line by line. I have my own separate checklist/worksheet called, not surprisingly, a “Substance Abuse Evaluation Checklist.” I fill it out as we go along, keeping the original for my file and providing my Client with 2 copies as they leave: One to hand to the Evaluator, and another to keep for themselves. This insures that all the “little things” that can crop up and derail a License Restoration case are covered, and taken care of before they ever become a problem. This borrows from a couple of themes I repeat throughout my numerous writings about License cases: There are no shortcuts, and these cases are won (or lost) in the preparation. During that first meeting, I also provide my Clients with some sample Letters, and a template to use as a guide to what the Letters of Support must say. I go over this extensively, although ultimately, getting the Letters right is matter of my spending time on them, more so than the Client. Once the Evaluation has been completed, a copy is sent to both my Office, and the Client, as well. My senior Assistant, Ann, and I will each review it. Ann concentrates more on names, dates, signatures and more of the administrative and clerical details. If she finds it to be accurate, it goes to me. I look at things like the Diagnosis, and whether it seems logical in light of the person’s conviction history and their test results, as well as the Prognosis and the Continuum of Care Recommendation. My focus is on the clinical and legal sufficiency of the Evaluation, not to mention making sure that it is appropriately favorable. In other words, it has to be winner. At some point, the Letters will be done, and good to go, and the Evaluation will have been double-checked and re-checked, and the whole package filed in Lansing. We’ll await notification of our Hearing date, and, even more important, the identity of the Hearing Officer who will be deciding our case. This is huge. Each of the 5 Hearing Officers has a unique approach to deciding License Appeals. Knowing how that will affect each case is a critically important part of the preparation strategy. It is just a simple fact that every License Appeal filed will either present with the Client being actively involved in AA, or not. It is important to note that AA participation is NOT required to win a License Appeal. In fact, more than half of the License cases I handle (and win, of course) are for Clients who are not active in AA at the time we file. That said, if a person who seeks a Clearance claims AA attendance as part of their case, each of the 5 Hearing Officers will ask different things about that. Some Hearing Officers will be concerned with their knowledge of the actual steps, but not so much about what the steps mean. Others will ask a person to talk about those steps that have had the most impact on the person’s Recovery, and why. Still others will ask for an example of a step (usually other than the first) that they have discussed recently, and what they learned about it, or how it was analyzed and applied. The inquiry changes if the person is not active in AA. Some Hearing Officers will ask why a person never went to AA. Others will ask why the person stopped going, and what they took from the program. Still others will focus on the person’s personal plan for Recovery independent of any past AA attendance, or lack of it. It is my job to make sure my Client is ready to answer these questions. To do that well enough to win a License Clearance case, we don’t just start talking about them right before the Hearing, either. Being able to answer the questions relevant to a person’s chosen path of Recovery, whether it be AA, or Counseling, or just living an alcohol-free, Sober lifestyle, and to speak intelligently about it is really about helping my Clients put the words to the story of their Recovery, and doing that is part and parcel of that very first, 3-hour meeting, where we begin preparing for the Substance Abuse Evaluation. At that meeting, we begin to sketch out a theme to the story of a person’s transformation from drinker to non-drinker. We begin to examine the details of the person’s life, some of which they may not have thought about for a while, and see how those things need to be placed within the framework of a winning Appeal. Then, we do it. As I noted early on, I’d never try and dissuade anyone from sending in an Appeal by mail. Granted, I do say this with tongue in cheek, because I know that chances are at least 3 out of 4 that anyone willing to take this gamble will be looking for a License Restoration Lawyer next year, anyway. I can help those determined to get back on the road sooner, who have real Sobriety under their belt, and who are willing to come and see me once, put in the time and effort with me to do things right, then return again for their Hearing, and spend the $3600 I charge for a License Appeal. That’s not cheap, but good things never are, and it sure beats the daylights out being stuck bumming rides for the next year.